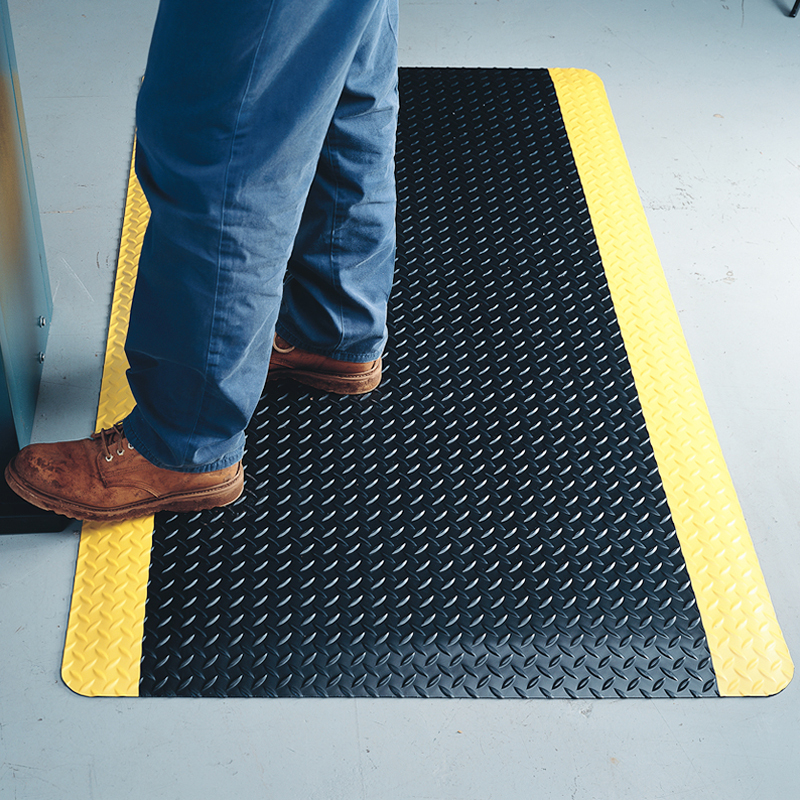 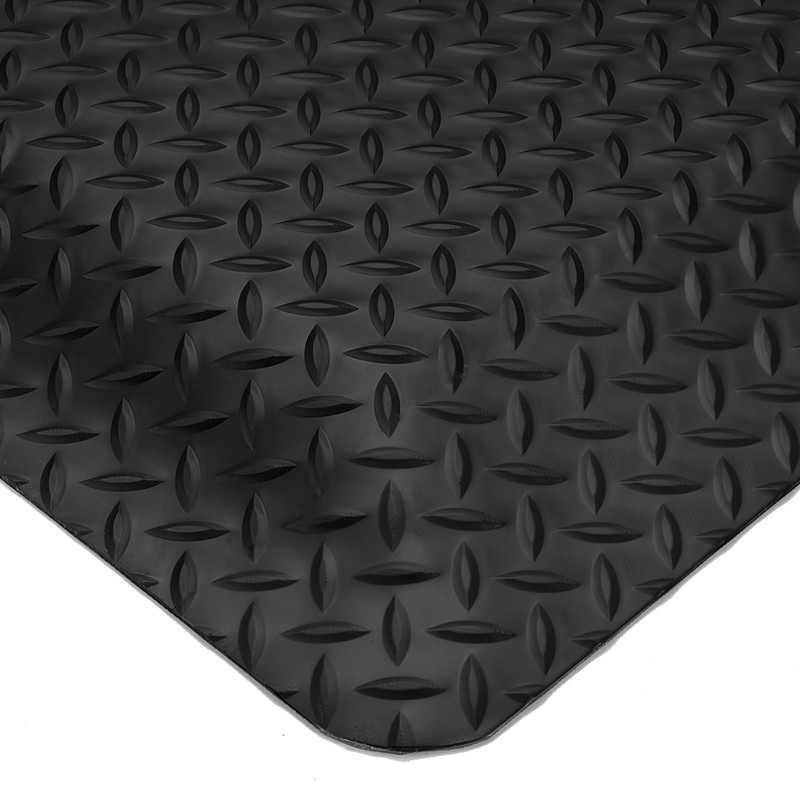 A thicker and more comfortable version of the DiamondPlate Select mat, 15/16" thick with a PVC sponge base. • Ergonomically designed for comfort and anti-fatigue benefits. 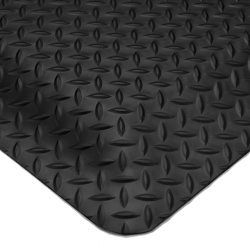 • Abrasion-resistant vinyl, diamond-pattered surface. Beveled edges and slip resistance provide a maximum level of safety. 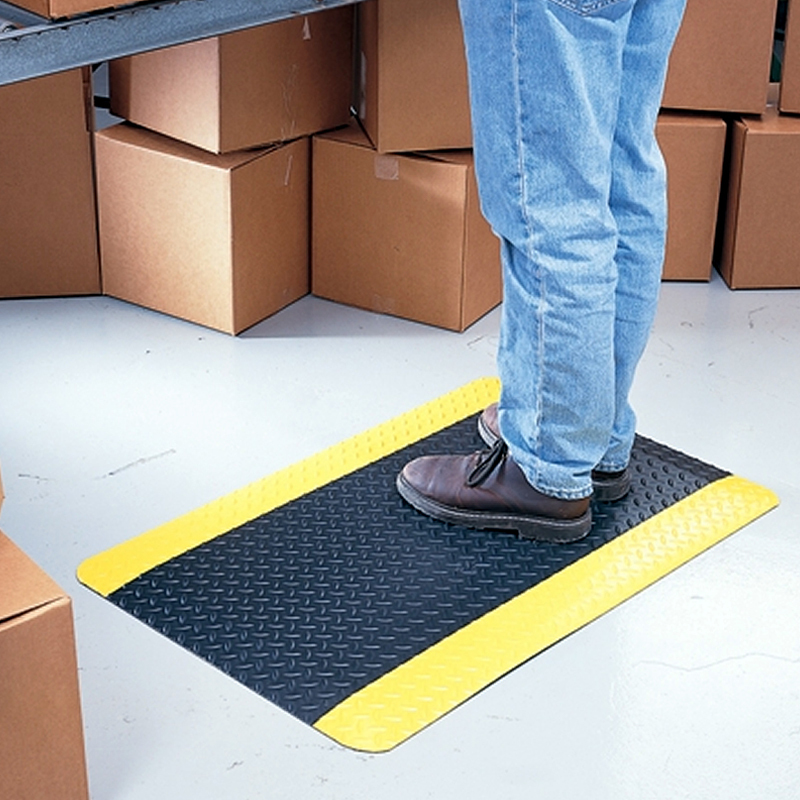 • Flex-Link™ base is an affordable, blown-vinyl sponge formulated to lessen worker fatigue. 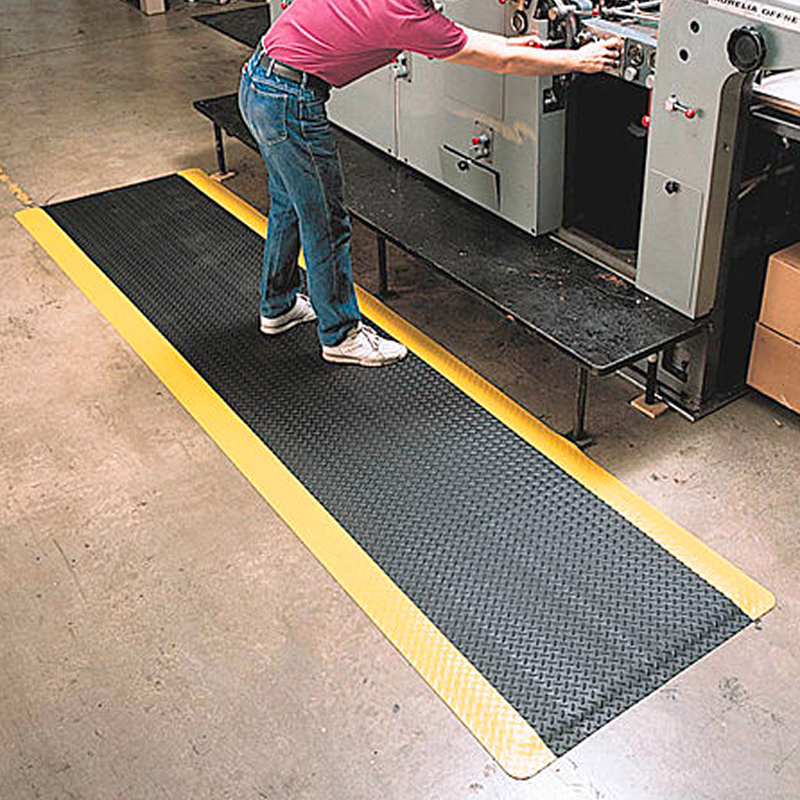 • Offers better durability for more demanding environments.